Wow, do I paint a lot of food! 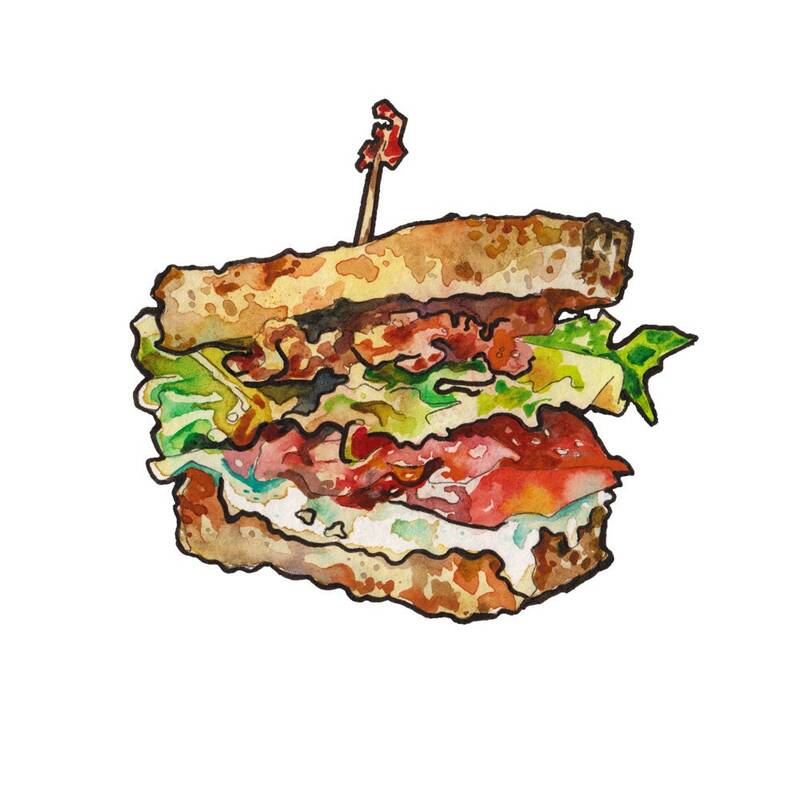 This watercolor and ink hand painted sandwich is a delicious Ranch BLT. Perfect for the bacon lover in your life, especially if they happen to be you. Bright, clean, and appetizing, this print is standard size so you can pop it in any 5 x 7 frame and be on your way. This piece does not come with a frame. It would look great in any kitchen, dining room, or breakfast nook. Great house warming gift. 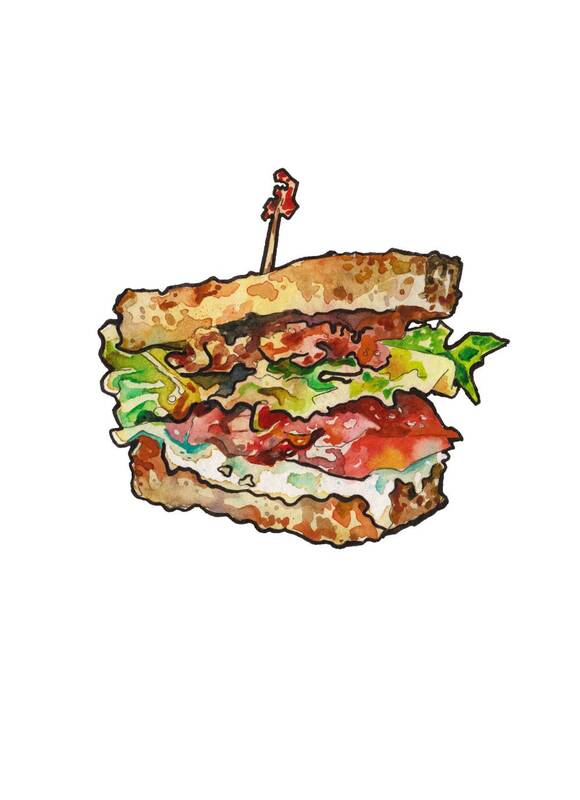 This listing is for a print of one of my original water color and ink paintings, "Ranch BLT." This signed reproduction measures 5 inches x 7 inches (12.7cm x 17.8cm). The print is high quality; very true to the original's coloring. It is printed with archival inks on acid free paper.